"Are Stem Cells the Future of Autism Biomedical Therapies?" because when you click on it you get the wrong presentation. Thank you. Do we pay for the "fees" the day of the conference? How much are the fees for the materials?? Thanks. How come it keeps saying "Bad response submission" and blocking me? My name is Brian K Dery. I am a filmmaker in Tampa, Florida that founded Triple Knot Productions, a not for profit video production company that specializes in the production of educational, inspirational and motivational documentaries about persons living with disabilities. Since 2005, our first five films had only focused on physical disabilities. Over a year ago, we had started planning for what would become our latest film, "Walking In The Dark: Finding The Light In Autism". 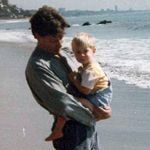 During my research, I had encountered many examples of where parents where given a diagnosis, no directions, false information, no sense of hope. To me, that was very sad as well as very disturbing. I felt it was my duty as a motivating filmmaker to help the new parents, ease them back and help restore the hope. "Walking In The Dark" was released and premiered on June 5th. It is currently being distributed by Penn State. I am writing to you to seek further help in getting the film out to the many parents who are lost, who are desperately seeking answers. The film educates viewers on autism, local, state or federal resources, educational and recreational resources, support groups and most importantly some of the therapies that have been working for children. I urge you to take a couple of minutes and watch the preview on our website. If you have any questions, please feel free to email me or call me at, 813-283-8657. 2nd Enormous reason for attending the Conference is sharing the great success that MaxGXL supplement is giving my 19-year-old autistic daughter, Tanya, on a daily basis. I am taking it as well. The benefits have been super for both of us! I encourage you to listen to a recent recording of a tele-seminar regarding this supplement as discussed by Dr. Allen. Log on to: http://budurl.com/BrainBreakthrough Dr. Allen explains the benefits of glutathione with autism spectrum disorders, Aspergers syndrome and other brain disorders. Dr. Allen is an international researcher and practitioner in natural health and nutrition and has been in practice for more than 30 years. After receiving her doctorate in nutrition, Dr. Allen further trained in neurokinesiology and brain-stimulation techniques. She is recognized for her practical approach to health regarding natural and alternative methods of stimulating permanent changes in the brain as a result of dyslexia, ADD, autism, Aspergers syndrome, learning disabilities, academic and behavioral issues, and brain injuries. Thanks so much for the welcome. I think we're all squared away, Debbie. Hey does anyone know if there is babysitting during the dinner on Saturday of the events? Co-founder and executive director of AutismOne. To keep in closer touch and share ideas with the autism community. A diagnosis of autism is not a prognosis of lifelong and forever. Our children get better, many recover given the proper treatments and therapies. Divided Legacy - Vols. 1 - 4. Philosophy and the Real world. The Great Chain of Being. Green for Life. The River.